Leather Help was created by leather professional, Paul Ford, to show how to quickly and easily repair, restore and care for leather upholstery. 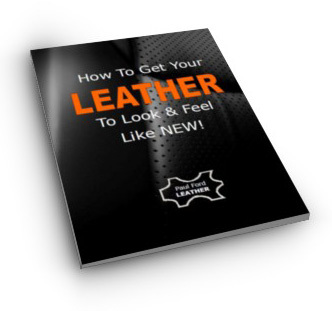 The site provides simple instructions, video tutorials, helpful tips and ideas to help keep your leather in top condition. The information provided is a result of over 30 years experience in the leather industry as a professional restorer. Over the years Paul has employed several staff and worked on many projects ranging from simple repair work, restoration of leather furniture, colour matching leather hides for interior designers to restoring upholstery in classic and exotic cars. The products used are exactly the same as used in the tannery and passed the international leather finishing standards. "Stahl products are used by tanneries world wide for the finishing of leather. 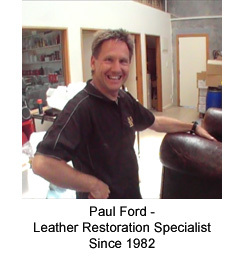 We have been working with Paul Ford in the area of refinishing upholstery and leather hides. We are pleased to say that his work meets the BS1006 British Leather Standards for upholstery, and the quality of his team's workmanship is among the best in Australasia. We therefore have no hesitation in recommending their work." I hope you find the information helpful and if you need any help, feel free to contact me.